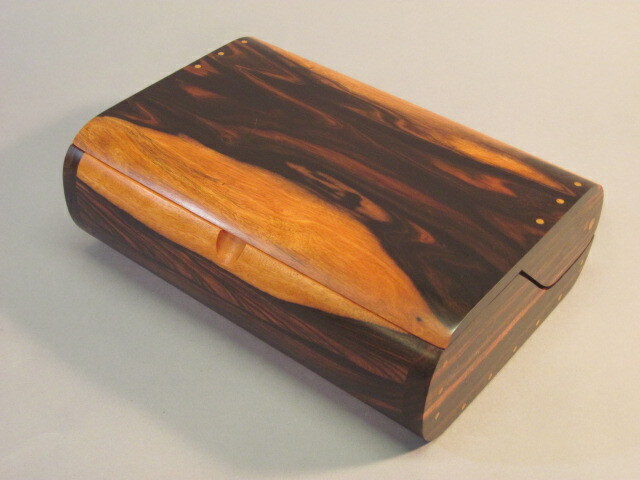 Macassar Ebony BX-18ND (short version). This shorter version of the standard BX-18ND and is 12" long instead of 15". All other dimensions are the same. $590 empty. 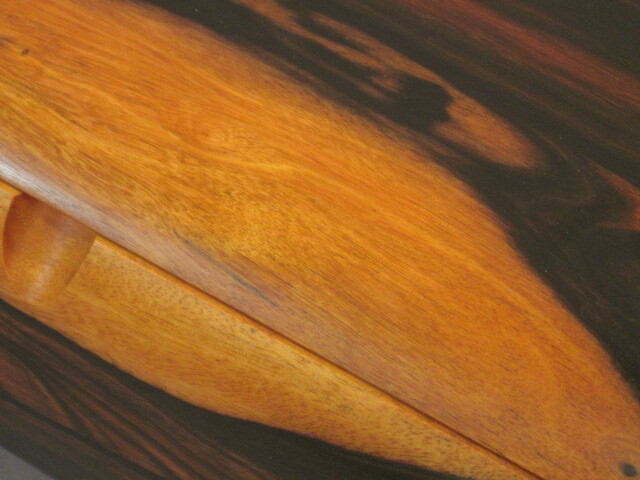 Macassar Ebony BX-18ND (short version) detail view. 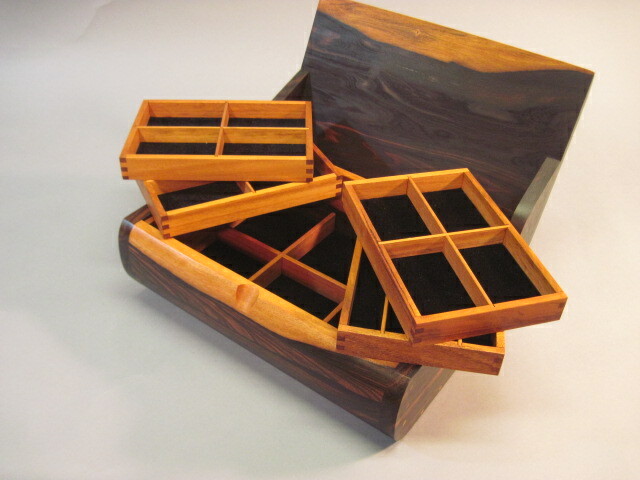 Macassar Ebony BX-18ND (short version), with four trays and partitions, $690. 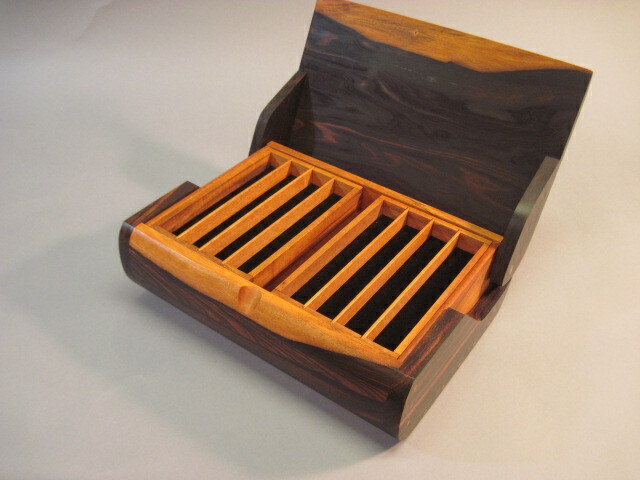 Macassar Ebony BX-18ND (short version), with partitions and trays for 17 pens, $690.